Yes, that’s the title, as I am one of those guys that say it all the time! In saying it, you begin to believe it and it becomes your mind-set, the comfortable excuse you tell yourself, “It’s ok you don’t have time for that”. I am now trying to change that, it’s not easy and I don’t expect overnight results, I have to be realistic, take small steps and judge each scenario individually in order to make sure I make the right decision and not just fall back into that auto pilot excuse. In changing that I am typing this blog piece out, something I wanted to do last year but kept putting off! The time has not magically appeared (like I had previously hoped) I have had to make it and I intend to keep on doing that, making sacrifices for the things I want to achieve is definitely on my priority list. So what’s been happening? Well a lot as always, that is the reality with three children all at different stages of life. Munsimar Kaur (MK) has started this year knowing she will be taking her 11 plus, she goes to tuition once a week, at the moment we are considering to up that to twice a week as well as studying at home. She definitely is enjoying it but we always feel she has that little bit more and we don’t want her to have regrets, there comes that moment as a parent where you want to push them but need to strike the balance to make sure their well-being is the priority. I will keep you posted on our progress, as this is new to us, those with more experience please do get in contact, support is always welcome. Gurleen Kaur (GK) had a great week in reception and the highlight was being chosen as “star of the day”. They find out in advance so she knew she would be the star for the following day, she was so excited. We had a chat over dinner and she explained how it all happened. She said, “Daddy I said in my mind that I was going to be the star of the day, then miss chose me”. It was absolute magic listening to her, I told her it was because she believed in herself and wanted it to happen so much that it had to happen! The next challenge she has set herself is to write her name fully without any mistakes, once she does that we get to take the class teddy called Cherry home for the weekend, that will be a lot of fun and I am so proud of her enthusiasm, she has progressed so much lately and we will keep on encouraging her. Gobind Singh (GS) believe it or not is now seven months old, where the time has gone I don’t know! He also has a tooth growing, very small at the moment but very sharp and jagged as his mum will tell you! He is really enjoying his food at the moment, when I say that I mean all the sweet things of Ella’s kitchen range, other things are at the moment somewhat challenging, but we will keep trying! 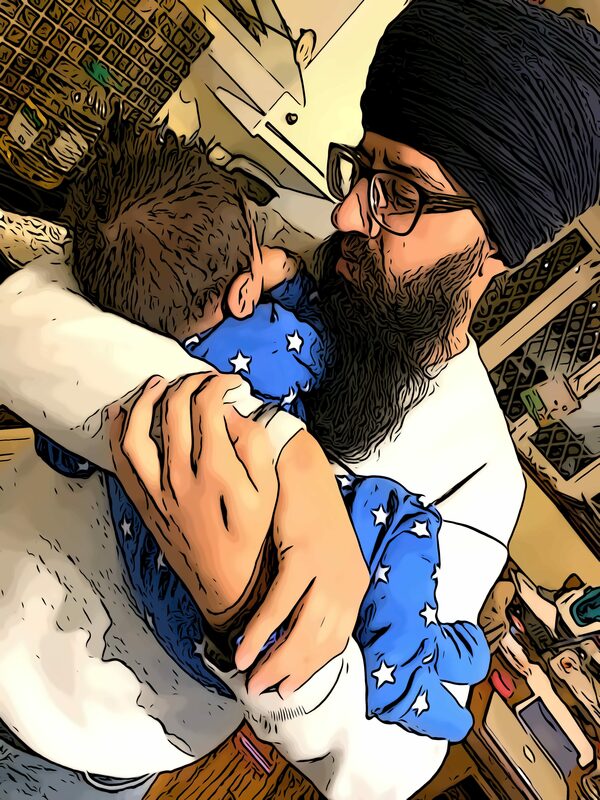 In the world of Sikh Dads, we now have our first Whatsapp group, I was approached by a couple of dads a few months ago with the idea, I like most thought not another WhatsApp group! 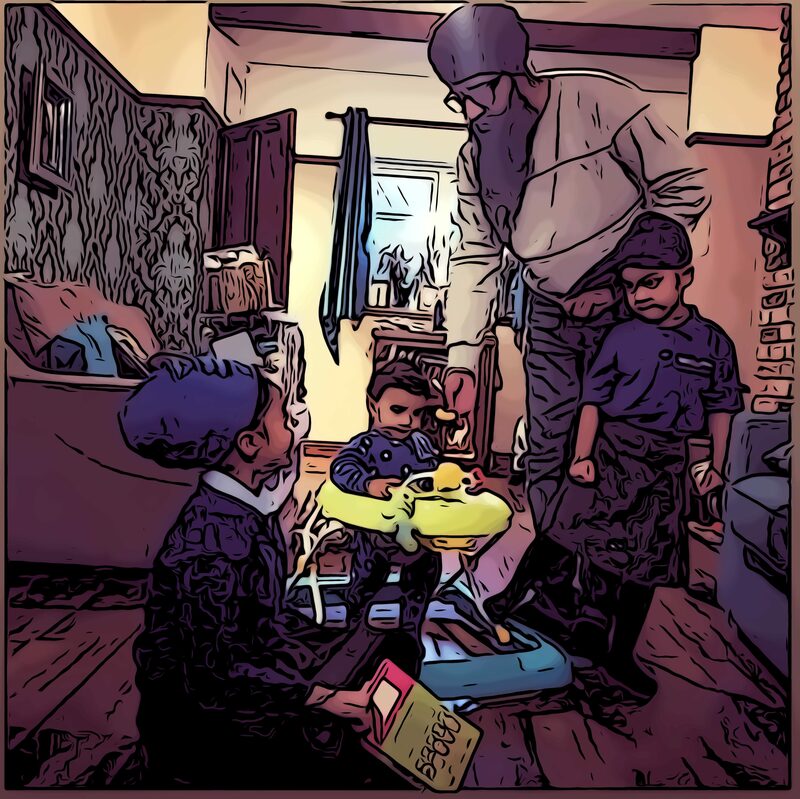 However as the dads wanted it I was willing to give it a go, I then thought as there was a need, it was up to all of us to make it a purposeful group, I, therefore, invited all that I knew and had a great response. I wasn’t in the best position to set it up straight away so thanks to all for being patient with me, I thought it was best to begin in the new year. It is now one week old and we have over a 100 members worldwide, from Canada, India, USA, UK, Norway, Malaysia, Kenya (I hope I have named all the representations). 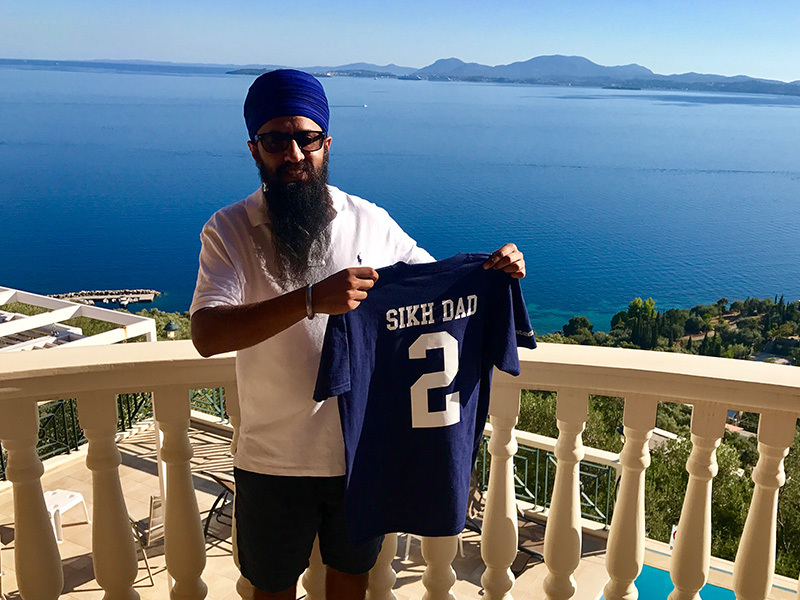 The chat is busy and has been very insightful, it’s amazing to see how many different skills and experiences we have collectively; I am passionate about connecting Sikh Dads from around the world who I will continue to serve, if you are a Sikh and passionate about parenting then do get in touch for the joining details, in the meantime keep up the good work dads you have been amazing so far!